1- Within the following verses, we read about God smiting and destroying the corrupt ones and tyrants in ancient history: "Those who committed excesses in the lands. And spread much corruption therein. So your Lord poured down upon them a scourge of torment. Your Lord is on the lookout." (89:11-14). This means that a similar destruction inflicted by God is the fate of all those who follow the footsteps of tyrannical and corrupt ones, because our Lord God is on the lookout. 2- This question persists: why the corrupt ones and tyrants never take heed of the fate of the ancient nations of the unjust ones? All tyrannical rulers should remember that thrones are transient and move from one person to another: "...Such days We alternate between the people..." (3:140); the Only Eternal Sovereign is God. Tyrants stick to their thrones and forget that they are mortals and commit the same tyranny and corruption like those before them, until they collapse and remember God after it is too late. God on the Last Day will say the following to the corrupt ones and tyrants: "And you inhabited the homes of those who wronged themselves, and it became clear to you how We dealt with them, and We cited for you the examples." (14:45). This figuratively means that the corrupt ones and tyrants lived within the same climate or ambiance of corruption and tyranny of others before them. In fact, recent tyrants typically live in palaces of dead or former tyrants as we see in modern times now; the royal palaces receive successors of kings and palaces of republic countries receive presidents who practice the same injustice, corruption, and tyranny, even if they have raised the banners of justice before assuming their posts or revolted against former tyrants. 3- This question persists: why kings and presidents lose their reasonable minds once they are enthroned? The answer is as follows: absolute power make them steal and hoard huge amounts of wealth and confiscate money and assets of others under the pretext of combating corruption. Tyrants typically get rid of those who helped them on their way to the throne so as not to share their authority and power with anyone, and they establish new loyal cronies for themselves who hypocritical flatter them and blindly obey them. Thus, tyrants create new adversaries, enemies, and foes for themselves and feel frightened and extremely anxious, and this leads them to torture, persecute, and imprison more people within a vicious circle of fear, anxiety, violence, and corruption. Nightmares haunt tyrants and drive them to be more unjust and tyrannical; they have no time to look back and revoke their injustice. Tyrants who succeed them to thrones practice the same injustice, corruption, and tyranny and might imprison and humiliate former tyrants and take away their wealth. Thus, this is the revenge against tyrants: "Your Lord is on the lookout." (89:14). 1- To explain how the Saudi royal family members have helped spread corruption worldwide will take many volumes and tomes. It is enough here to remind our readers that this Saudi family owns a country, a nation, and the lands while controlling all sources of wealth and money, while disregarding the real owners of the lands (i.e., Arabian people) who have existed before the Saudi family has emerged. The Saudi family justifies its corruption and crimes by the Wahabi religion and imposing on people the lie that Wahabism is Islam. This lie is the basis of the first and second Saudi states that collapsed; the third, current Saudi state is on the verge of imminent collapse – in case no real religious and political reform is introduced immediately. 2- The first Saudi state that ended in 1818 spread corruption all over Arabia: massacres, looting, sabotage, and repelling people away from the Quran and the Sacred Kaaba Mosque. the third, current Saudi state confiscates oil revenues that should have for the Arabian people. Such huge oil revenues turned the Saudi kingdom into an 'important' country because it buys anything with money; hence, its corruption reached most regions in planet Earth within the era of globalization. By spreading the lie that Wahabism is Islam, the Saudi family members spread massacres and bloodbaths among innocent civilians worldwide within Wahabi jihad of terrorism. The Saudi financing bought and murdered rulers, manipulated and controlled some other rulers, waged wars, destroyed countries, and persecuted and killed some reformist thinkers and preachers of reform and justice. We provide some details in the points below. 1- The Saudi family murdered Mr. Nasser Al-Saeed, the peaceful activist who advocated justice, freedom, and reform inside Arabia. 2- Nationalism of the Egyptian President Gamal Abdel-Nasser posed a veritable threat to Saudi Wahabism and endangered the existence of the Saudi kingdom itself. The Saudi family had to get rid of him by tempting him within a war in Yemen in the 1960s that weakened the Egyptian armed forces that were defeated by Israel in 1967 within the Six-Day War. The loss of Sinai ended the legend of Abdel-Nasser and he lost his stature; within the Khartoum conference, Abdel-Nasser became submissive to the Saudi king Feisal, who forced Abdel-Nasser to appoint Sadat (an agent subservient to the Saudis) as a vice-president. Within another conference in 1970 for the sake of Palestine, Abdel-Nasser was very active, and he died mysteriously after drinking a cup of juice. King Feisal had plotted the murder of Nasser by poison. Sadat became president and made Egypt subordinate and submissive to the KSA and the USA. When Sadat became a source of trouble to the Americans and the Saudis, another conspiracy was plotted to assassinate him (using the Wahabi MB terrorists) in 1981. This conspiracy involved the vice-president, Mubarak, who succeeded Sadat, but he learned a lesson and never appointed a vice-president. In fact, Mubarak kneeled before the USA and prostrated before the KSA, and so did other presidents who have come after him. 3- Within the Mubarak era, the Saudi authorities planned to incite Mubarak to incarcerate our person: we mention this story for the sake of history, as we are one of the witnesses of that era. The relations between Egypt and the KSA were severed because of Sadat, and the Saudi king Khaled was keen to please Saddam Hussein in Iraq who hated Sadat for the Camp David Accords in 1978 and king Khaled severed relations and diplomatic ties with Egypt in 1979. When Sadat attacked the KSA verbally in his speeches, the Saudi king planned his assassination which took place in 1981. Mubarak did his best to please the KSA; when he attended the funeral of king Khaled in 1982 without proper invitation, he was treated with disrespect. Our own struggle against Wahabism inside Al-Azhar University has commenced in 1985 till we left our post as professor in 1987. At the time, we used to know Dr. Youssef Wali the Minister of agriculture who understood our stances and hated Wahabism in Egypt. When Dr. Wali talked about our person to Mubarak to help and support our person, Mubarak was keen on pleasing the KSA by incarcerating our person! Sheikhs of Al-Azhar were typically in constant contact with the Wahabi sheikhs inside the KSA. The agent of the KSA Zia-ul-Haq was president of Pakistan and he spread Wahabism there by the 'Islamic' University in Islamabad. Within a conference in Islamabad in 1987, the KSA made its Wahabi sheikhs (and Azharite sheikhs) attend this conference to discuss and refute our own book titled "Prophets in the Holy Quran" and to discuss and praise a book titled "Stories of Prophets" authored by one of our foes: the former head of Al-Azhar Dr. M. Al-Tayyib Al-Najjar. This conference declared our person as an 'infidel' and an 'apostate' who deserved to be put to death and gave a prize to Dr. Al-Najjar. The decisions of such a conference and those of another conference in Jeddah held by the Muslim World League made Mubarak incarcerate our person, Dr. A. S. Mansour, to please and to get closer to the KSA! 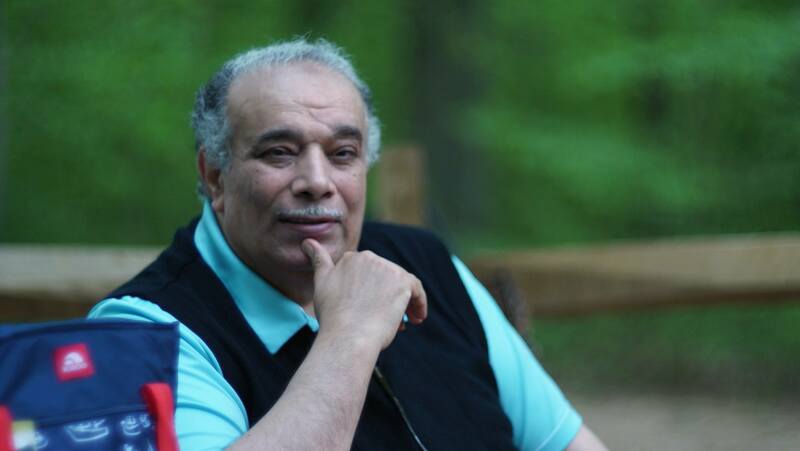 When we were imprisoned, we read in the newspapers Dr. Wali was silenced regarding our person as Saudi agricultural investments and projects in Egypt thrived! We were imprisoned in Nov. 1987; this was exactly thirty years ago. When the KSA and Egypt resumed close ties and normalized relations. The greedy thief Mubarak got too many Saudi bribes and he coveted more. Mubarak used the emergency law and his post as a military present to incarcerate Quranists in Egypt within many waves; we fled the second wave of arrests as we arrived in the USA in 2001 and sought and was granted political asylum. We kept attacking the KSA and Wahabism within our website ahl-alquran.com and our VA-based IQC. This drove the Saudi family to incite Mubarak to arrest our relatives in Egypt within three waves of arrest in 2007, 2009, and 2015. Officers of the Egyptian State Security Apparatus who incarcerated our relatives enjoyed the best and most expensive meals as bribes to harm, humiliate, and torture our incarcerated relatives, while cursing and verbally abusing our person! The Saudi money has spoiled the military rule in Egypt and aborted the 2011 uprising/revolt. Wahabism has dwarfed Egypt and its stature worldwide and in the Arab world. The Saudi Wahabism has infiltrated Al-Azhar, media, education, elite thinkers, and most Egyptian citizens. Liberalism in Egypt that existed since the era of Khedive Ismail and brought about the reform of M. Abdou, head of Al-Azhar who died in 1905, vanished since the 1970s; if it were to exist until now, this would have saved Egypt and the whole world from Wahabi corruption. Egyptian Wahabis (the terrorist MB members and Salafists as well as Azharite sheikhs) and all their overt and secret organizations helped spread the Saudi Wahabism worldwide! 4- In Pakistan, the KSA plotted a conspiracy to remove the secular an Shiite prime minister Zulfikar Ali Bhutto of Pakistan by inciting the Wahabi masses in Pakistan to protest within demonstrations against his secular tendencies. The KSA helped the general Zia-ul-Haq to turn against Bhutto and to sentence him to death by framing him within a court trial. When the international public opinion protested and called for saving the 51-year-old Bhutto, but Zia-ul-Haq assassinated him in his prison cell using a sword made of gold that was a gift to Zia-ul-Haq from the KSA. Pakistan never knew any stability ever since and its sham democracy within the military rule deceives no one. Zia-ul-Haq was assassinated in 1988 as a bomb exploded in his airplane, and Benazir Bhutto was assassinated in 2007. Pakistan suffers political turmoil, poverty, and backwardness within the Wahabi obscurantism; Wahabi sheikhs and military leaders control everything in Pakistan, in contrast to the secular India whose citizens enjoy religious freedom. 5- The Saudi corruption and Wahabism spread in Afghanistan within the help of the USA, as the Americans aimed to fight the soviets there using the Wahabi jihadists mobilized and financed by the KSA. When the communist rule ended in Afghanistan, the country has entered into the vicious circle of civil strife. In fact, Afghanistan and the whole world pay the heavy price of the Saudi corruption that led to the emergence of the terrorist MB, Al-Qaeda, and ISIS. Hence, Wahabism is a vicious tree that must be uprooted so that the whole world would be better and establish international peace. 6- The scenario that occurred in Pakistan by the KSA has been repeated in Sudan; the elections made the cultured democratic man, Al-Sadiq Al-Mahdi become the prime minister in 1986 and a coup d'état by the agent of the KSA, Omar Al-Bashir, removed the prime minister in 1989 and Al-Bashir is the president now; this Wahabi agent of the KSA caused the creation of the new country South Sudan, and civil strife fueled by Wahabi extremism made millions of Sudanese citizens lose their lives. Massacres of Al-Bashir in Darfur made him in 2008 as a wanted criminal that must stand before the International Criminal Court. 7- The Saudi Wahabi corruption has destroyed the stability of Yemen and manipulated presidents Abdulla Saleh and Mansour Hady. The Saudi Wahabi corruption destroyed Iraq and Syria. As the collapse of ISIS is imminent now, the Saudi scheme aimed to incite the Kurds to attempt to establish an independent state so that civil strife would break out again in Iraq, but international powers stopped such Saudi conspiracy. The Saudi Wahabi corruption aims at weakening all countries near the KSA; this is why the Saudis are keen to create troubles for Iran and Shiites in Yemen, Lebanon, and Syria. The Saudi Wahabi corruption creates more trouble in Libya, Tunisia, Algeria, Morocco, Mali, Chad, Somalia, and Nigeria. The Saudi Wahabi corruption spread insidiously with great success in the West countries and the USA. 8- The democratic Europe which is based on transparency has never been immune against the infiltration of the Saudi Wahabi corruption. Angela Merkel of Germany stands against this Saudi Wahabi corruption now, in contrast to the British prime minister, Theresa May, who has fallen into the trap of the Saudi Wahabi corruption like Tony Blair before her. We personally never forget the fact that the Saudi lobby in Washington that opposes Quranism propagated by our IQC and website and imposes media blackout on our person, thus leading American leaders to disregard our person, though Quranism is the solution in the intellectual war of ideas against Wahabi ideology of terrorism. LASTLY: Having written the above points, we cannot help but to remember and ponder deeply on this Quranic verse: "Your Lord is on the lookout." (89:14).